AF Benelux is extending its in-club experience with a new app, which will provide digital personal training and an extensive workout library. 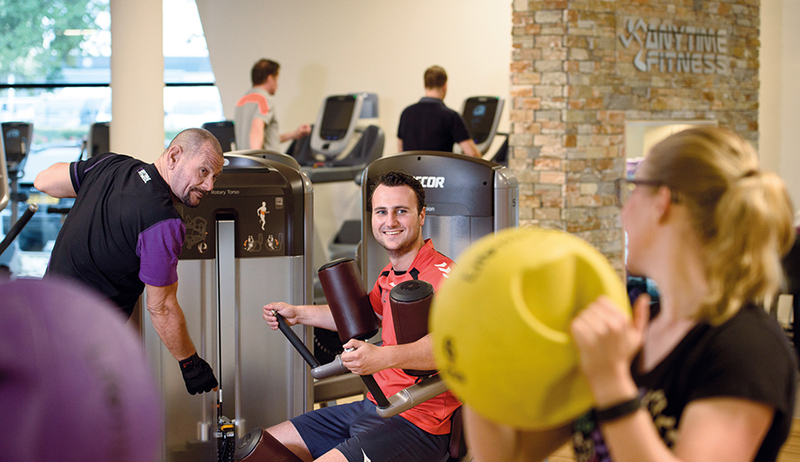 That virtual experience is a future pipe dream for many clubs, but for Anytime Fitness Benelux it’s becoming the reality, thanks to its new digital coaching offerings. Anytime Fitness Benelux (AF Benelux) opened its first location in July 2011 in the southern Netherlands. The company now boasts 72 locations in Belgium, the Netherlands, and Luxembourg (a.k.a. the Benelux region), with plans to open another 20 or so in the area by the end of 2018. Hameleers credits the company’s success to its focus on functional training and the passion of its franchisees. Anytime Fitness is planning to extend the passion of its franchisees and staff with a new app, which is rolling out to AF Benelux members at the end of May. The app, which was developed out of Anytime Fitness headquarters in Minneapolis, is designed to motivate, educate, and inspire members. According to Hameleers, the app will upgrade the physical support members receive in the clubs and provide them with tailored online health coaching, including a vast digital workout library from Pump One. “The transformation from 24/7 small footprint fitness to individual coaching—online and by visiting our clubs—is strategically a great jump in our new AF future,” he says. The AF Benelux team is finalizing a roadmap to implement the app and its digital offerings over the summer of 2018. The app is already proving popular with franchisees, who are eager to leverage it as a data source and profit center.